This is a 12 warp kumihimo braid with a distinct raised spiral pattern. 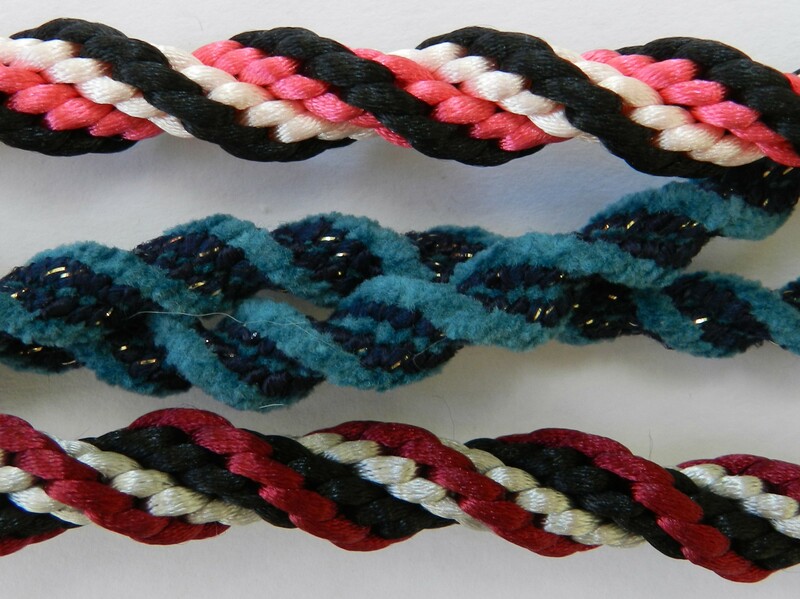 Until the braid has been fully mastered it is best to use 3 colours, as in the pictures. In this example the black cords will form the raised part of the braid and they will need to be approximately 30% longer than the other cords. 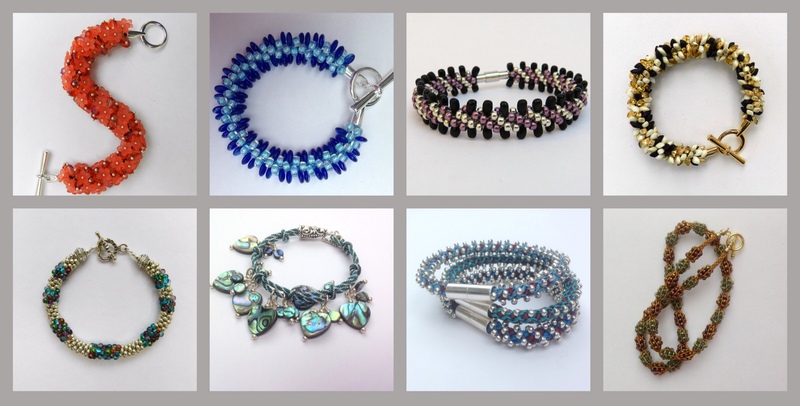 It is possible to add beads during the braiding process and instructions for this can be found in Braiding with Beads. 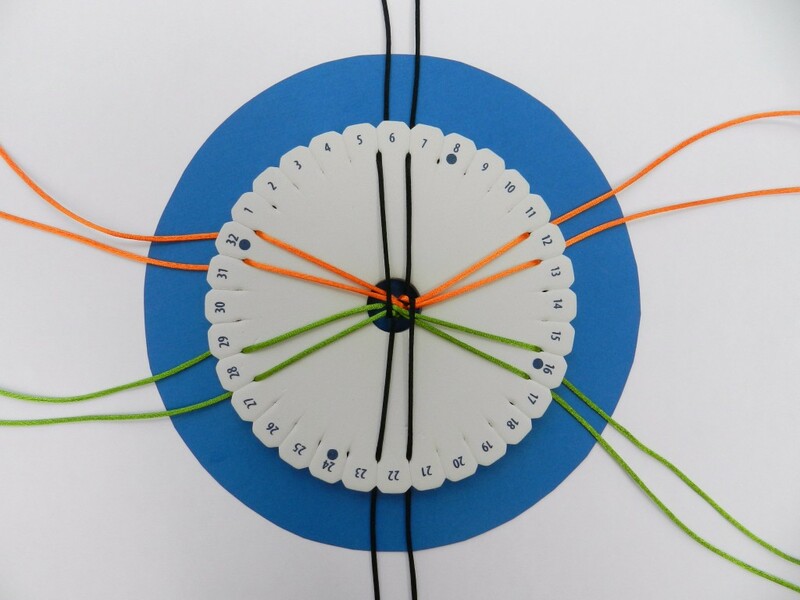 Set up the kumihimo disk with one colour (green in this example) in slots 30, 31, 18 and 19. Remember that the slot is on the left of the number. 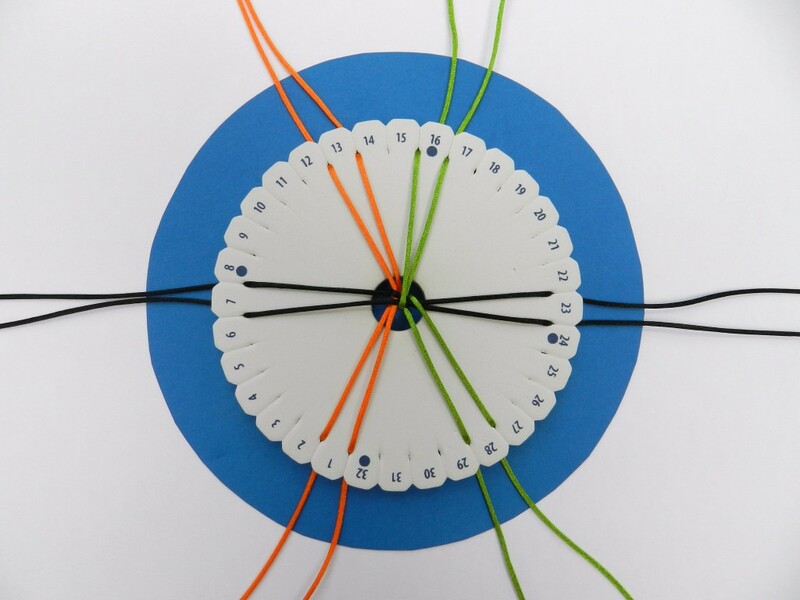 If you find the numbers confusing and are familiar with basic Round Braid, scroll down to my ‘Quick No Number Method’. Position a different colour (orange in this example) in slots 2, 3, 14 and 15. Position black in slots 8, 9, 24 and 25. 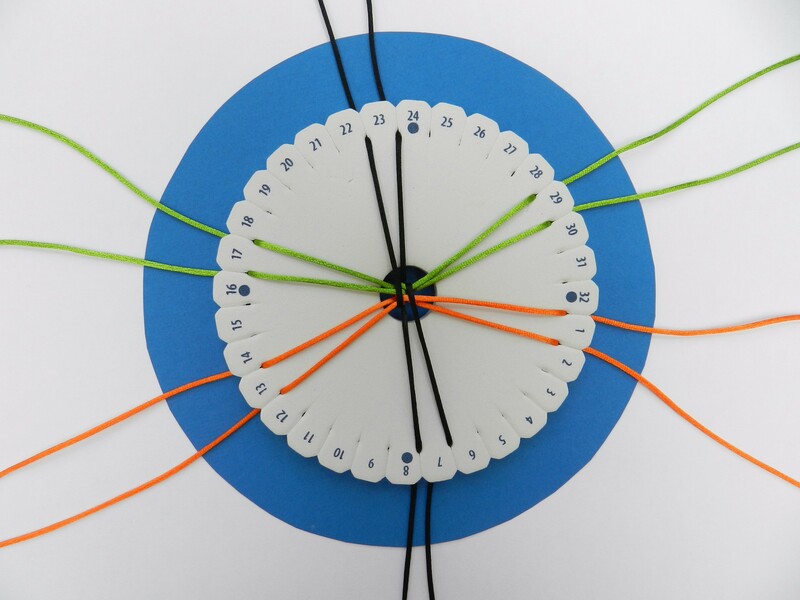 Turn the kumihimo disk a quarter turn clockwise, so that slot 24 is in the 12 o’clock position. 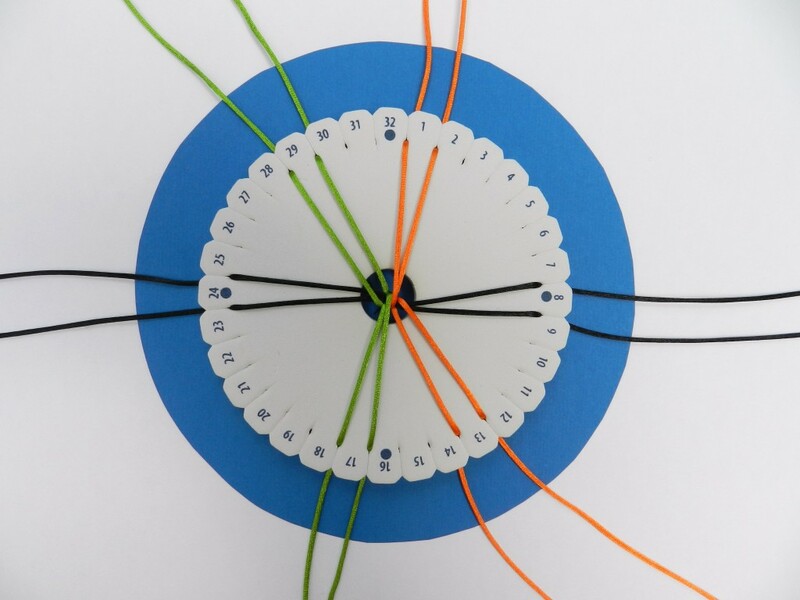 Turn the kumihimo disk a quarter turn clockwise, so that the green and orange cords are at the top. This time green will be on the right and orange on the left. 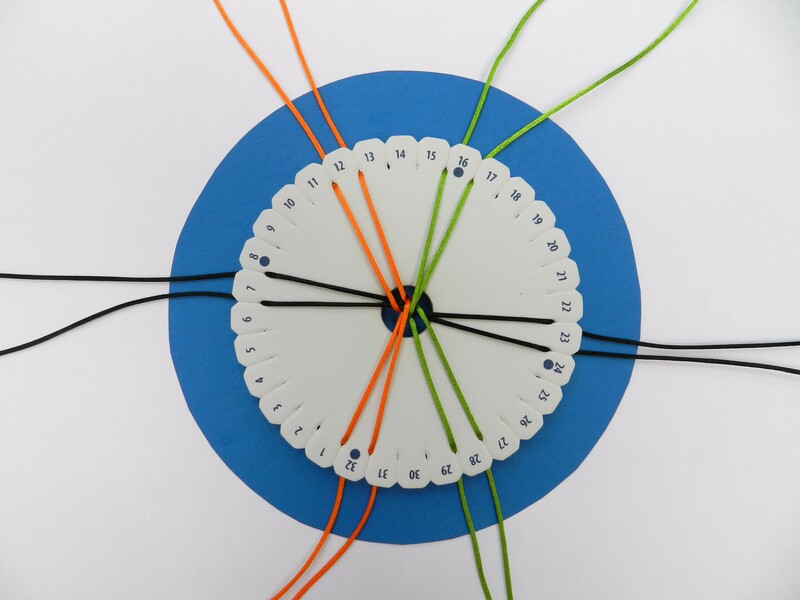 Turn the kumihimo disk a quarter turn clockwise, so that the black cords are at the top. 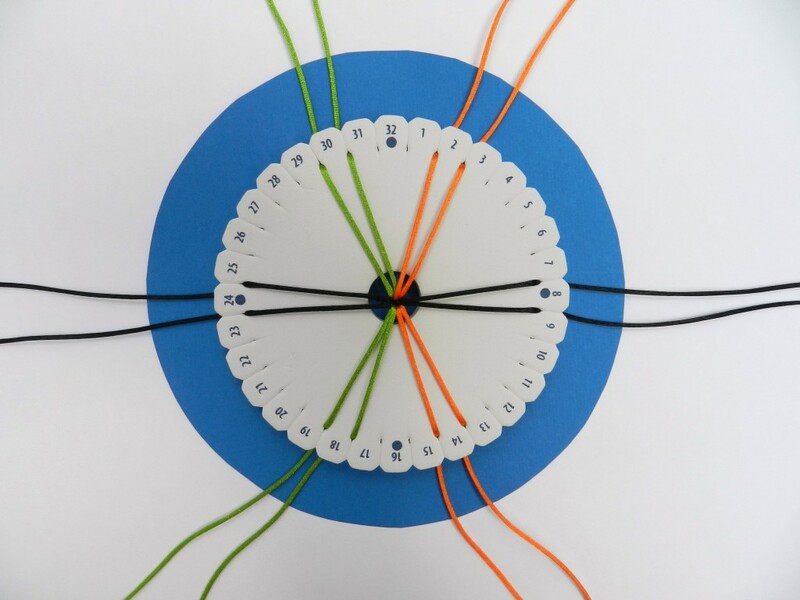 Continue working in a clockwise direction, making sure that the orange and green cords do not cross over each other. 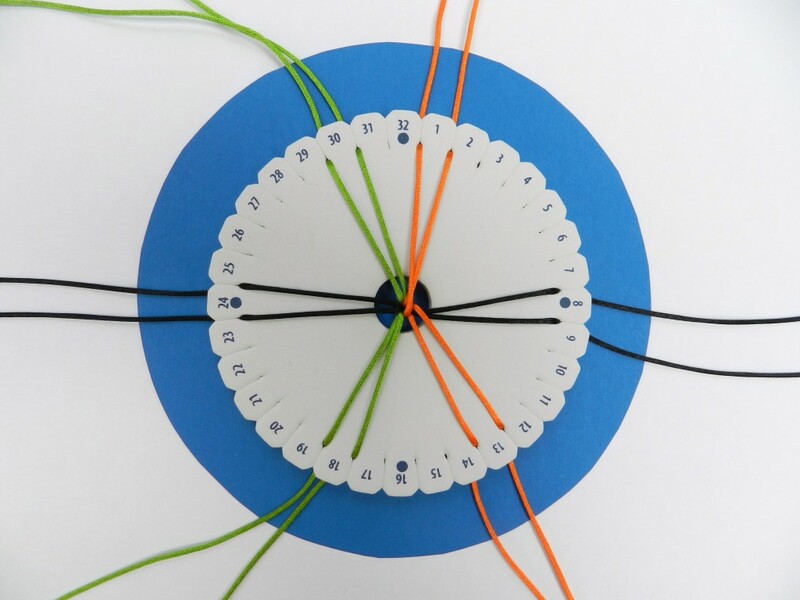 If you are familiar with kumihimo Round Braid you may find it easier to follow these quick instructions. To find the shop click here.